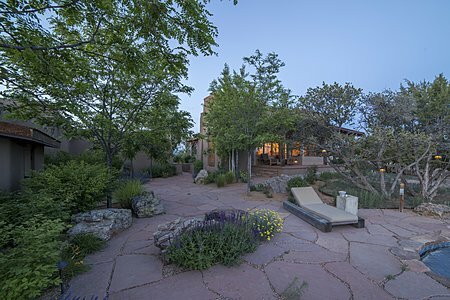 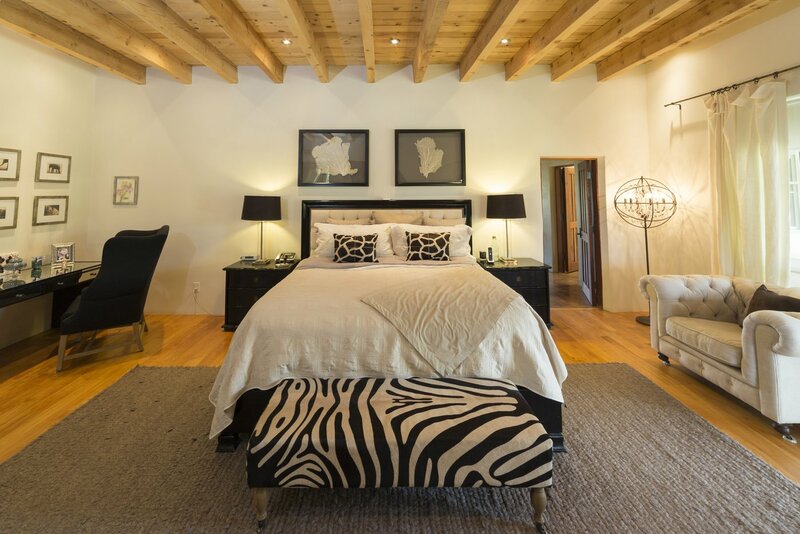 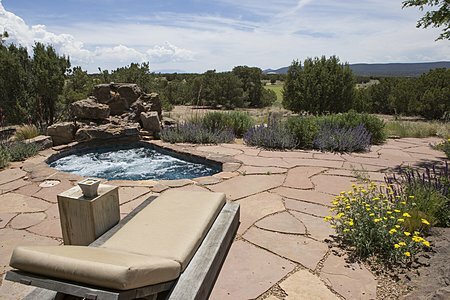 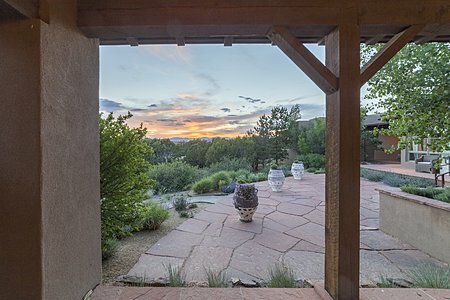 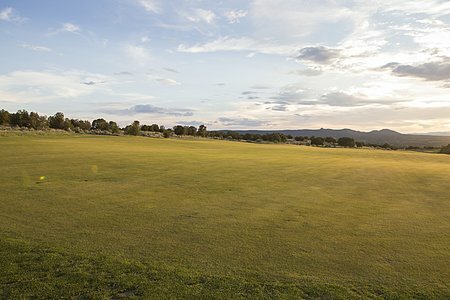 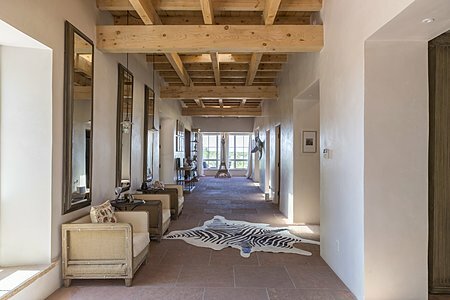 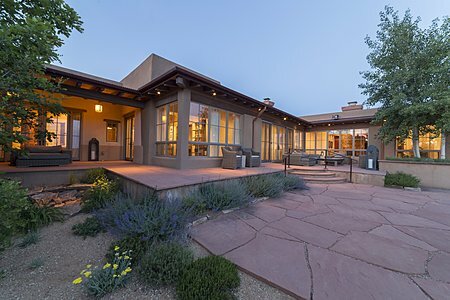 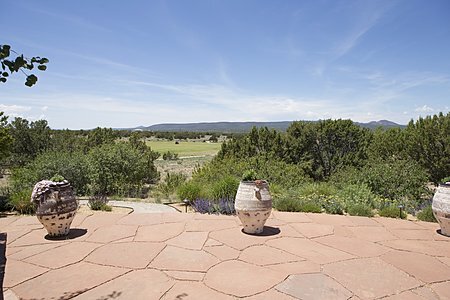 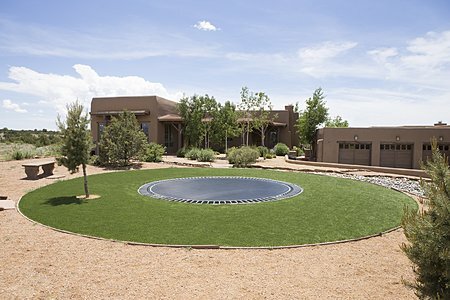 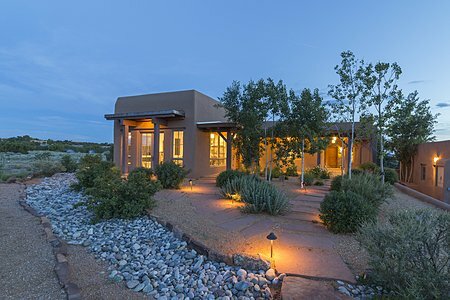 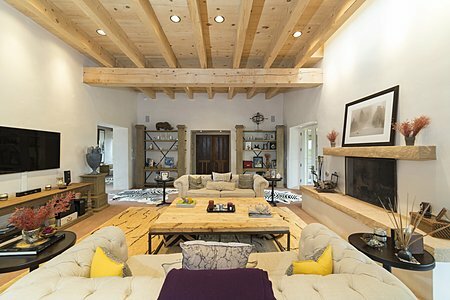 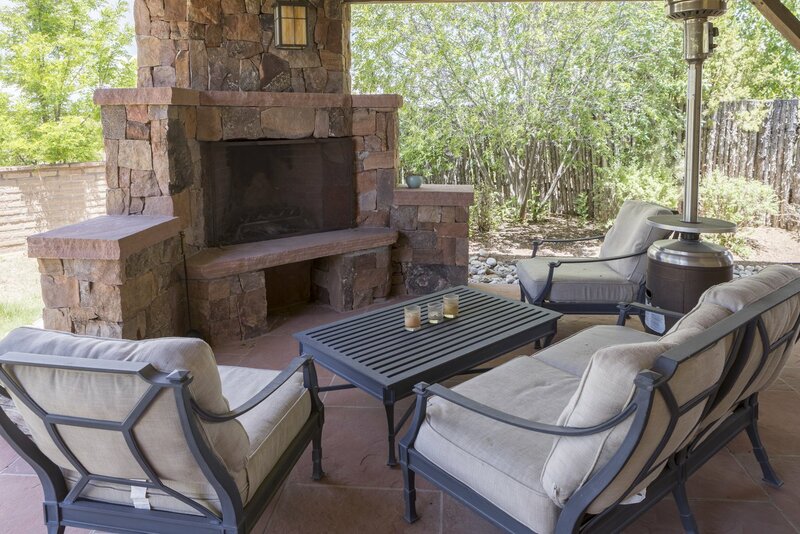 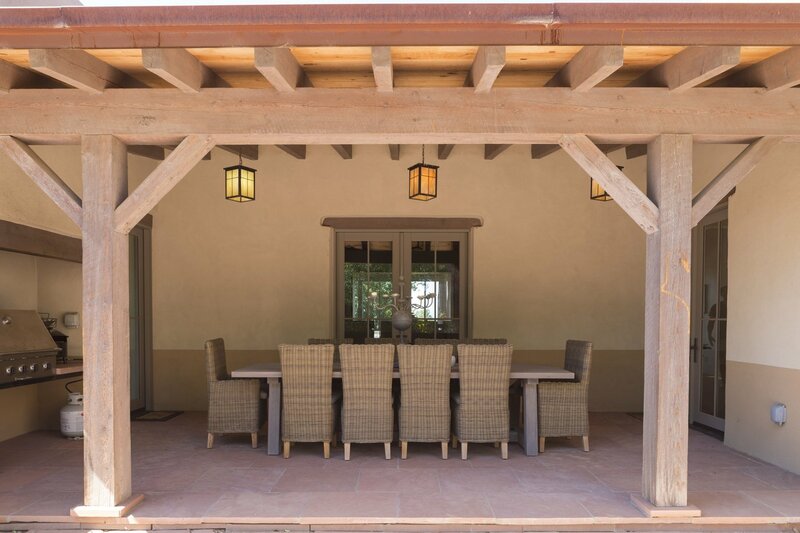 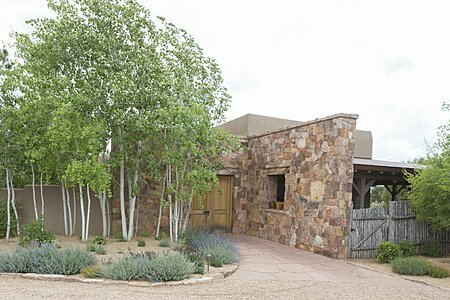 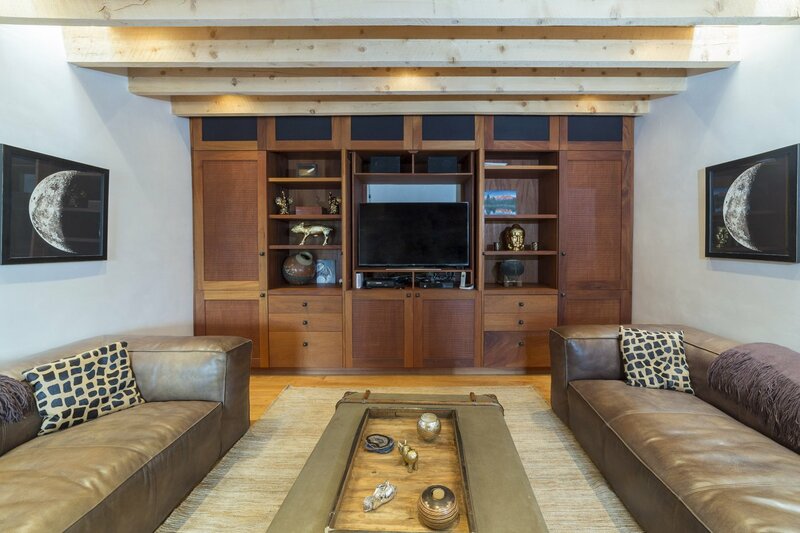 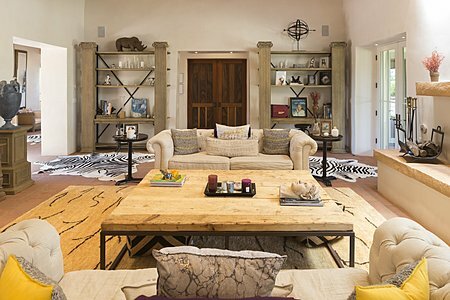 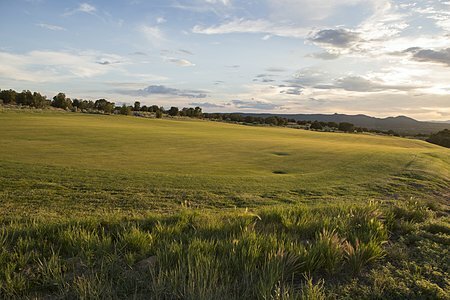 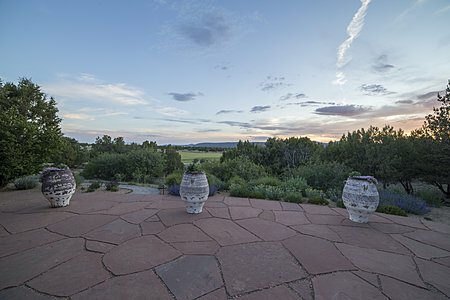 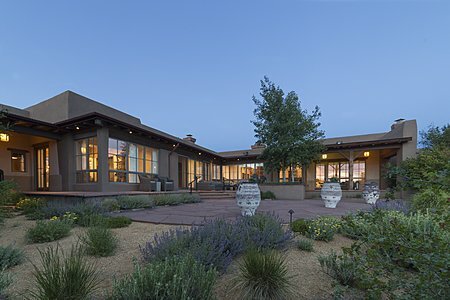 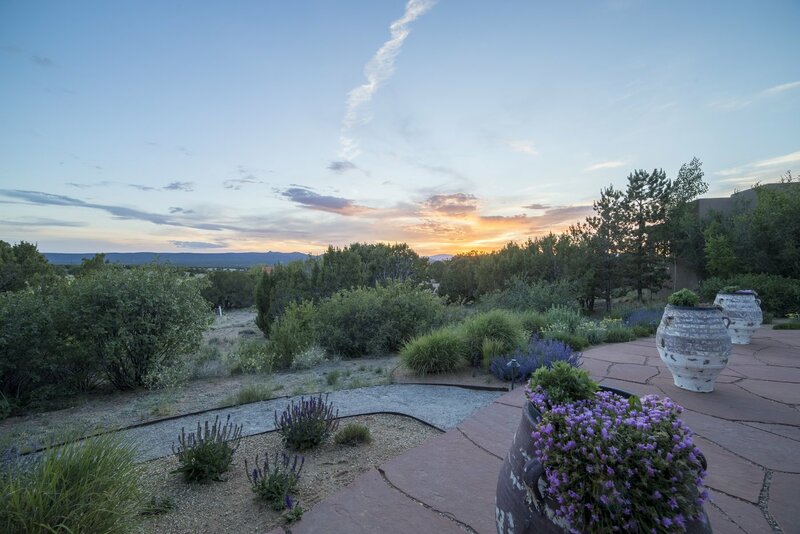 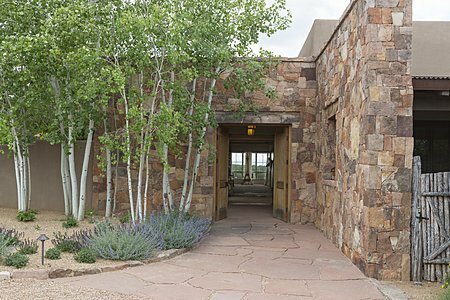 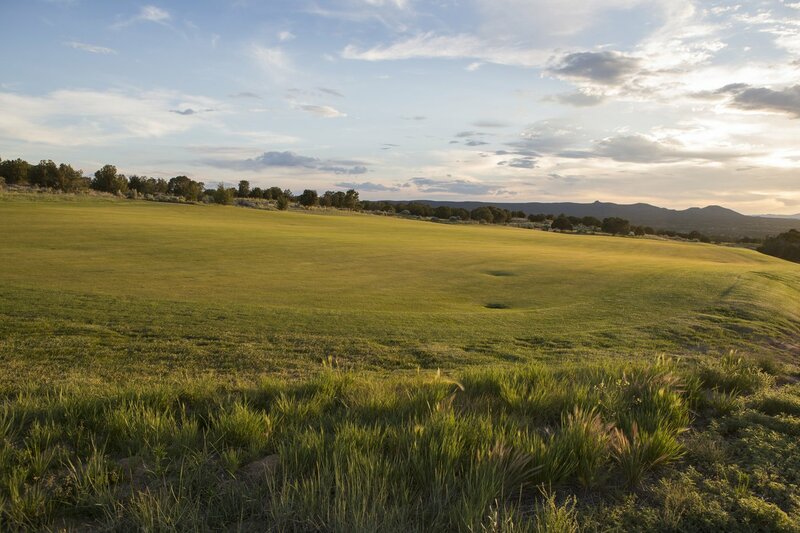 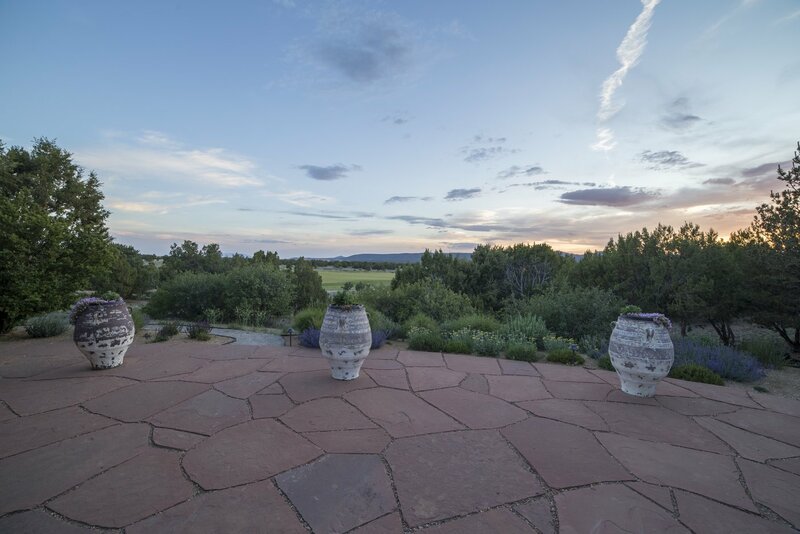 Classic Santa Fe Contemporary set on the 10th hole of the Las Campanas Jack Nicklaus designed Sunset golf course. 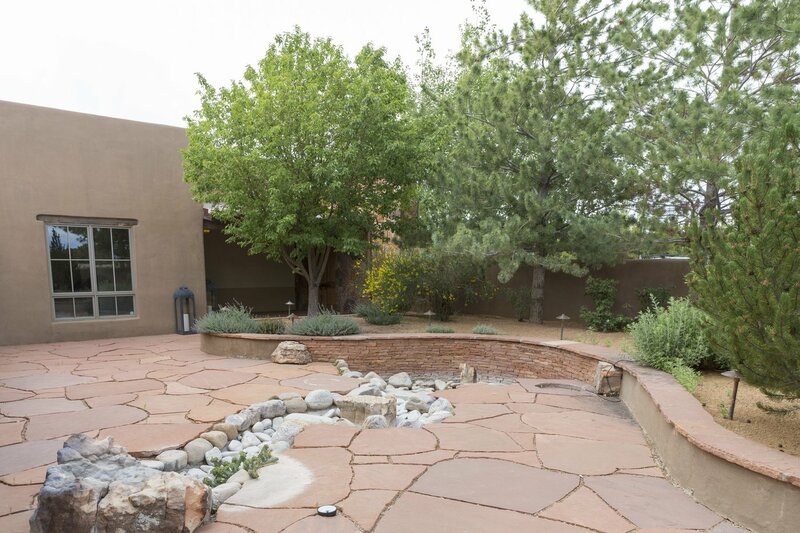 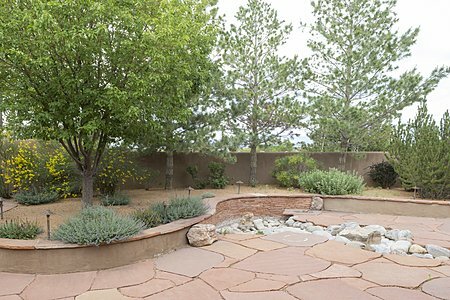 This sprawling estate comprises 4 separate lots and features a 7,715 sq.ft. 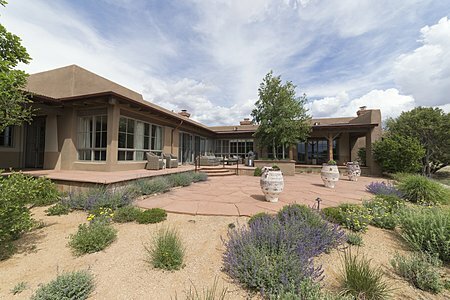 main house and a 2,026 sq.ft. guest house. 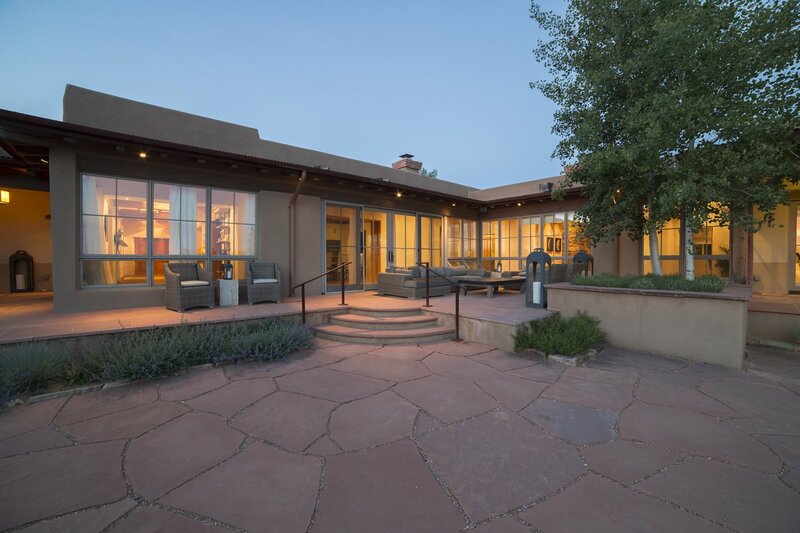 Clean lines and bright open spaces define this one level home - with great outdoor living areas and vast views. 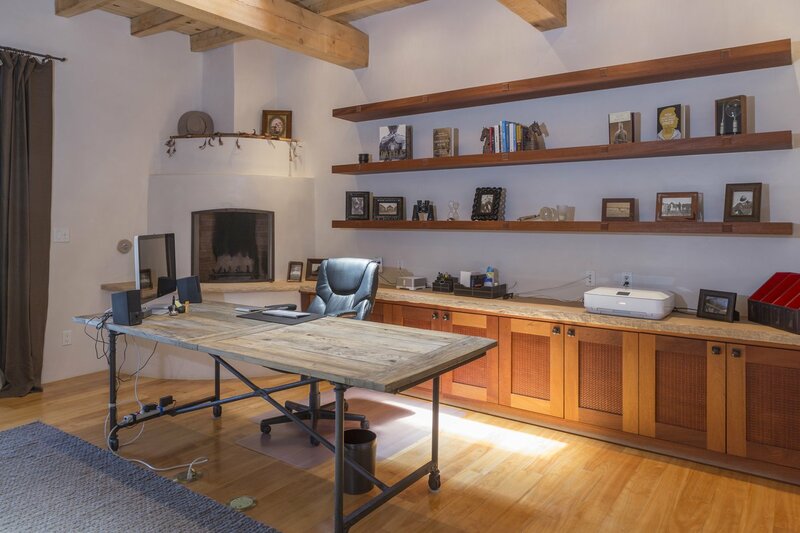 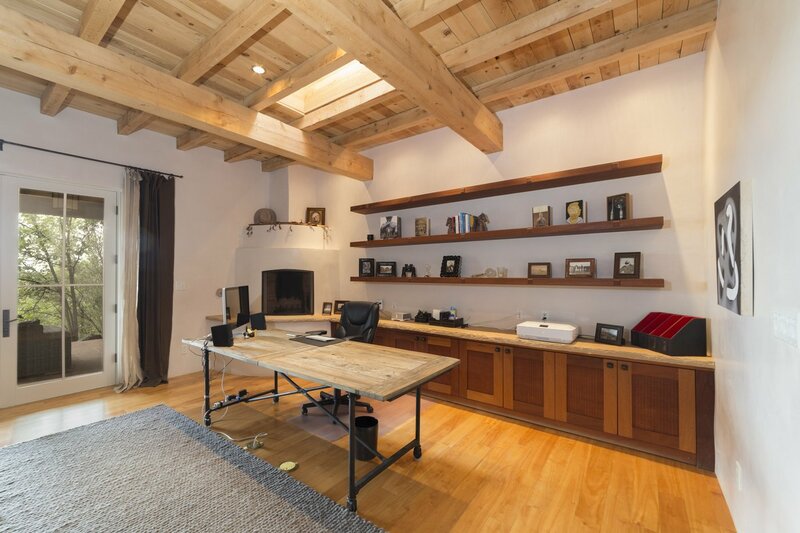 Main home features conventional 3BR suites, an intimate media room, and command central office space. 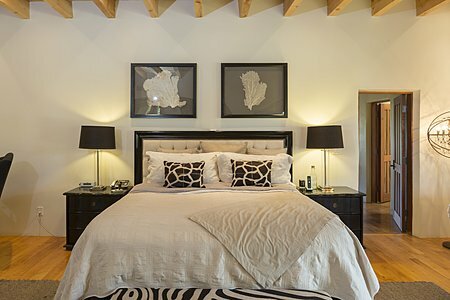 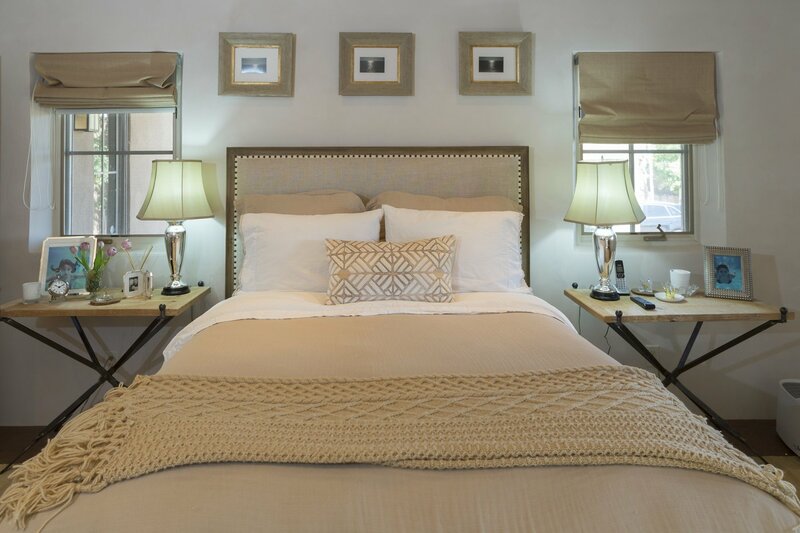 The master bedroomis a true suite with 2 bathrooms and 2 closet areas - and private portal access. 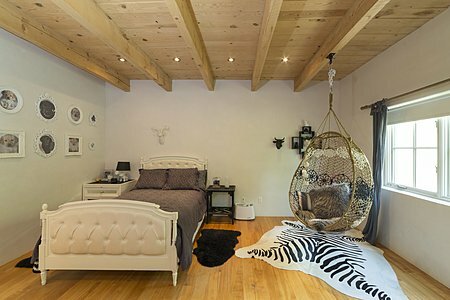 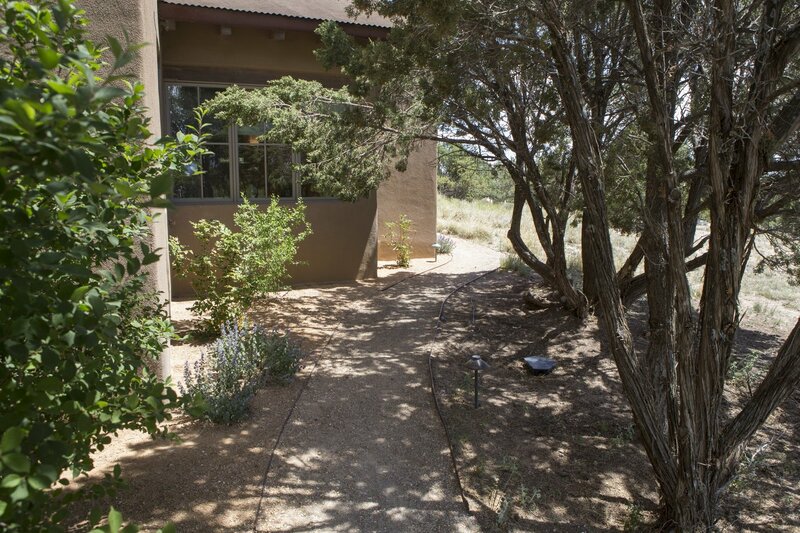 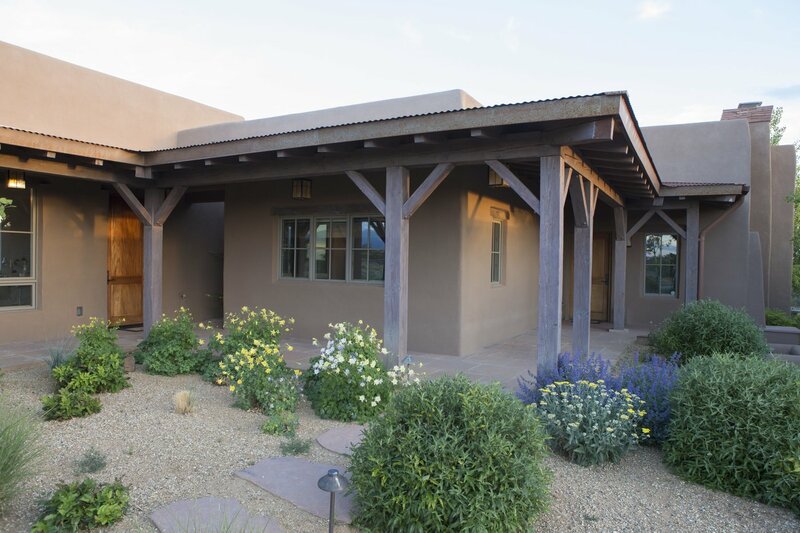 The guest house is a home unto itself, with the current configuration featuring 1 bedroom, living room/dining room/kitchen layout - with additional exercise room and the grand studio space ideal for multiple uses. 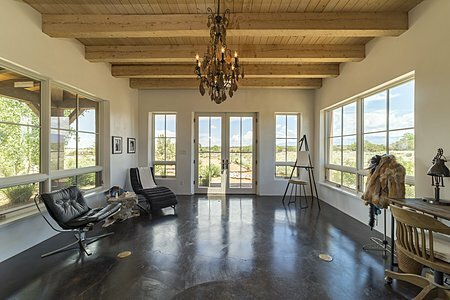 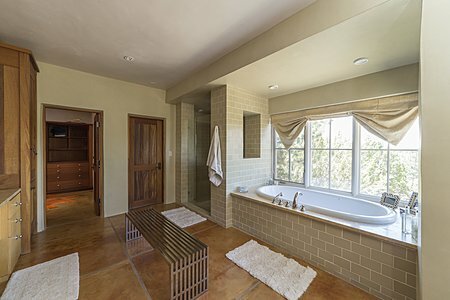 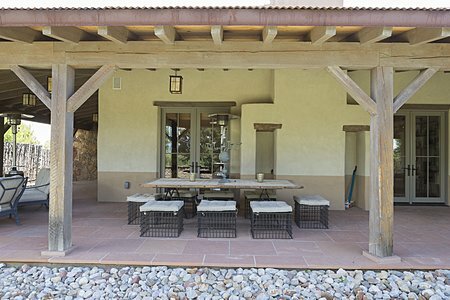 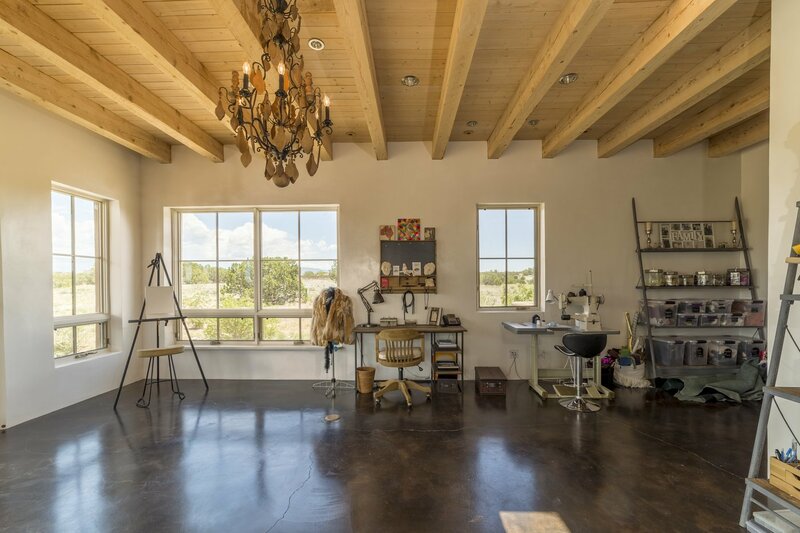 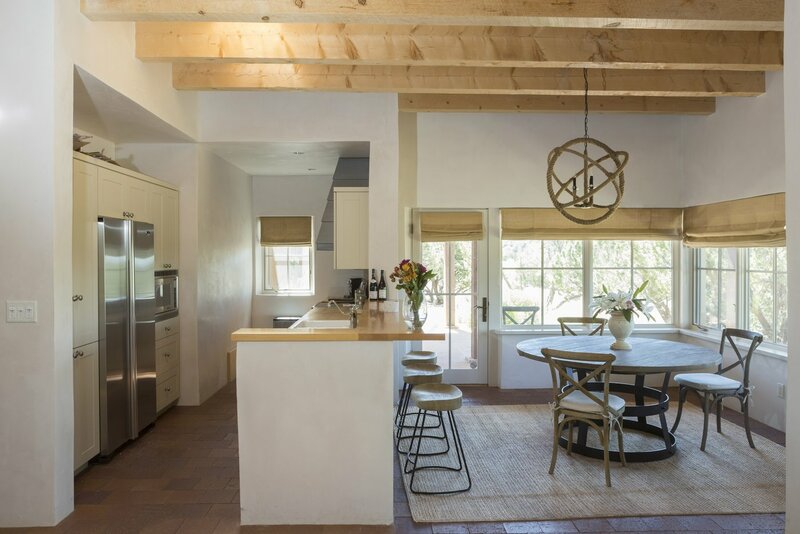 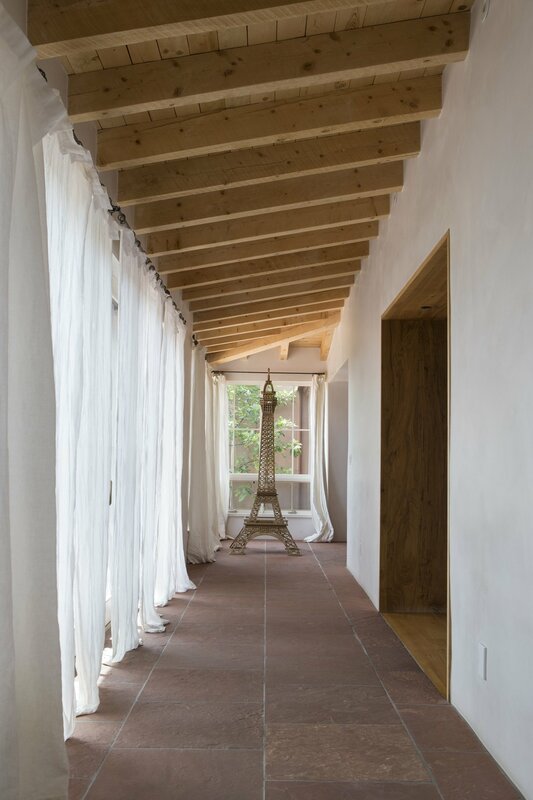 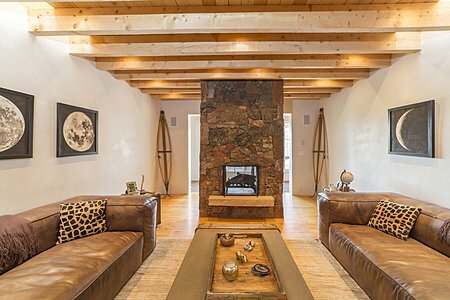 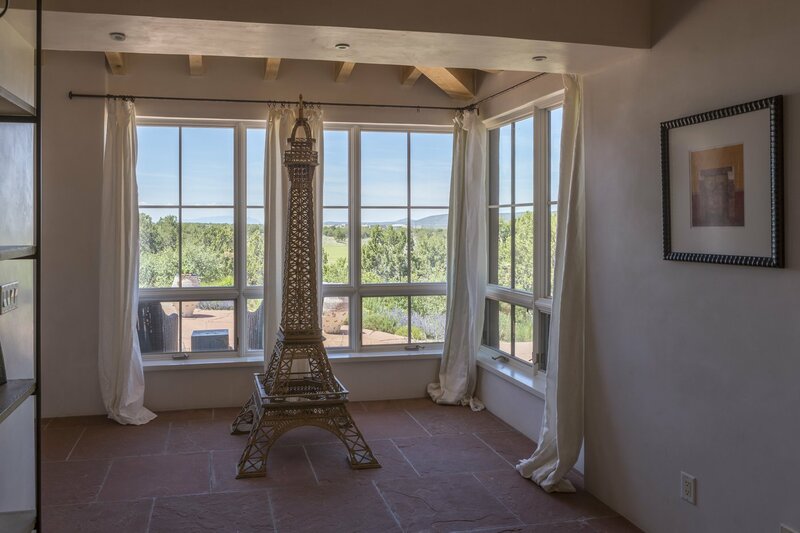 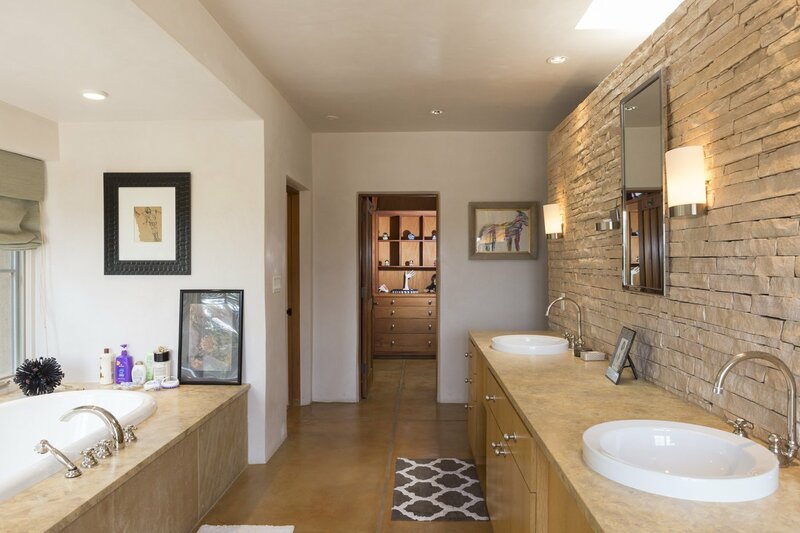 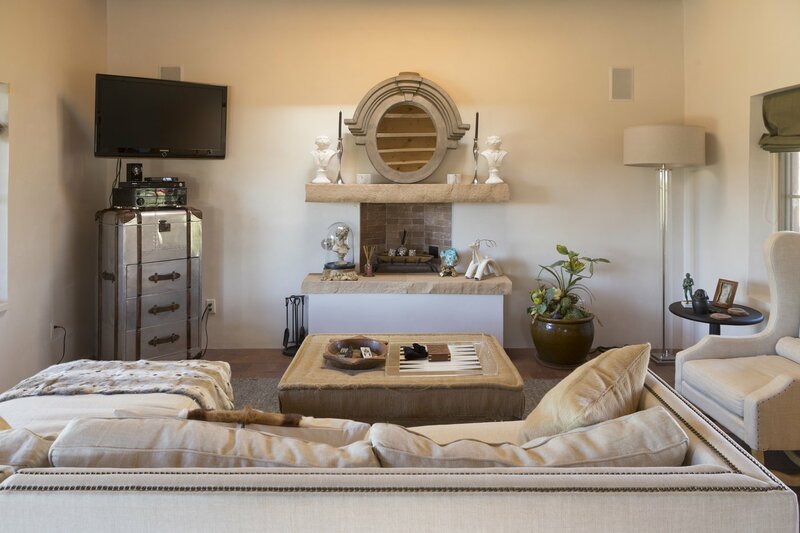 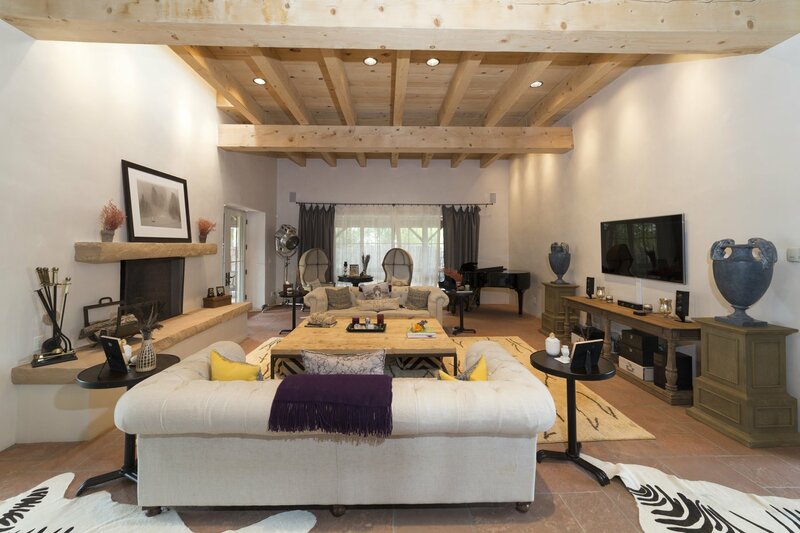 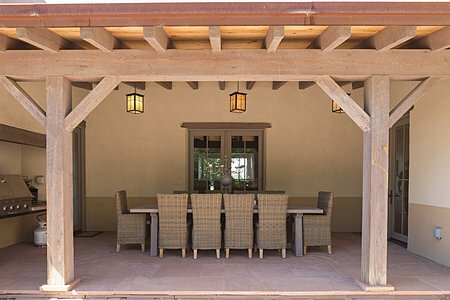 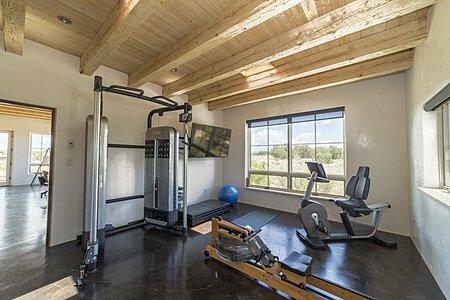 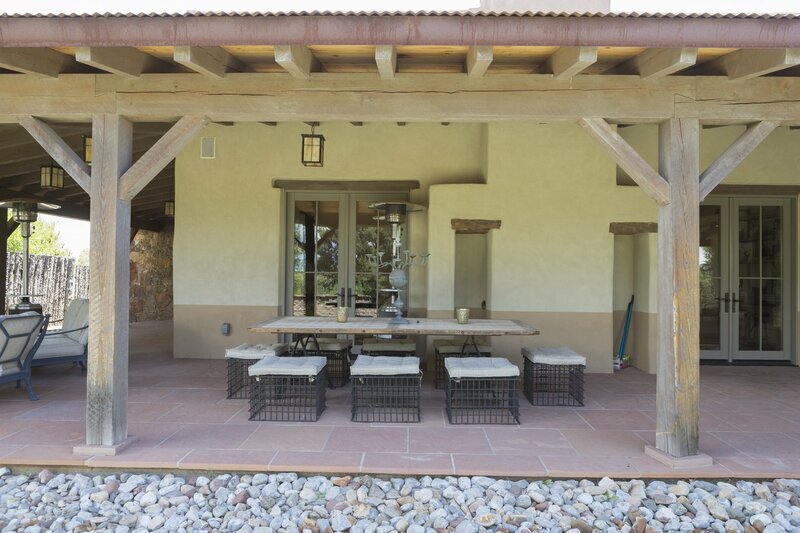 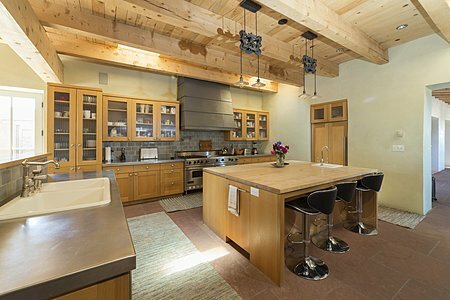 Adobe construction with beautifully finished plaster walls are the back drop for modern decor and contemporary living.